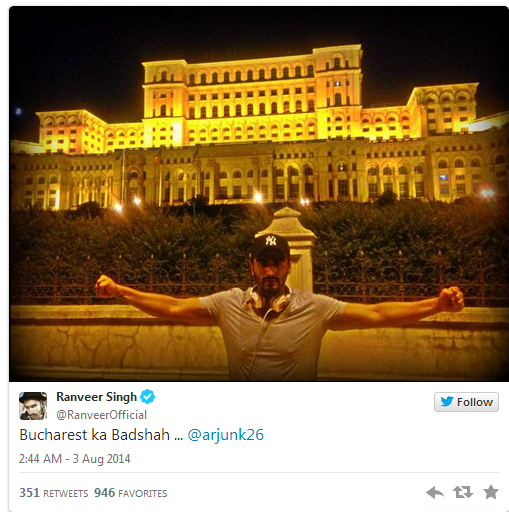 Bollywood’s Gunday Arjun Kapoor and Ranveer Singh’s bromance continues in Romania while shooting for an ad film. The best buddies had a mini holiday after wrapping up their ad shoot. The duo also tweeted a lot of pics on twitter and even this time they tweeted the pics from Bucharest, Romania on 2nd August, 2014. Ranveer Singh tweeted: “We went for an ‘evening walk’..I was admiring the beauty of Bucharest, while baba was admiring the beauties of Bucharest #badbaba @arjunk26 “. 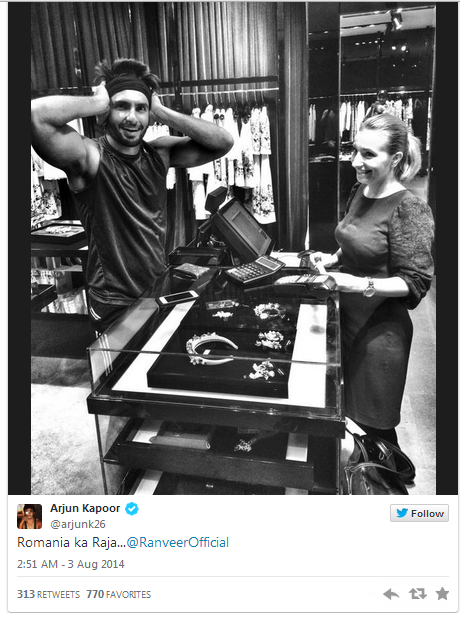 Ranveer also tweeted a pic of Arjun Kapoor. The bromance seems to be getting stronger with days. 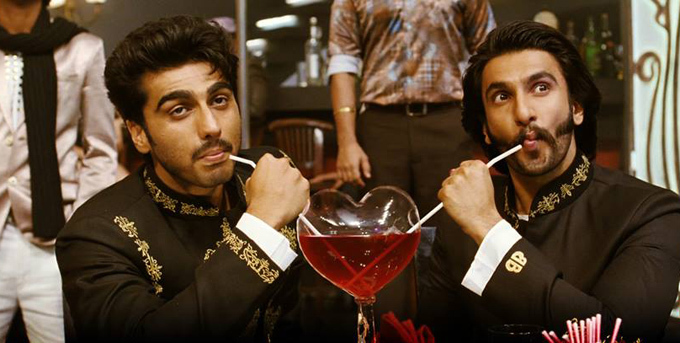 After Gunday released, the buddies have attended various events together and have gone all way saying they are the best buddies even in their interviews. Every other day, they tweet pics of each other and never hesitate to praise each toher whenever given the chance. Arjun also supported Ranveer when the latter shot a condom ad. We will see the duo again in the upcoming film Finding Fanny. Arjun Kapoor plays the lead role along with Deepika Padukone and Ranveer Singh makes a special appearance in the movie as Deepika’s husband. Finding Fanny will release on 12th September, 2014.